I didn’t have any major inspiration for a destination for this Sunday’s bike ride, so I got out the ‘Relatively Flat Ride’ that I made up some years ago. It’s 43 miles of the flattest roads I could find around here. There are a few hills along the way, but only when they’re completely unavoidable. 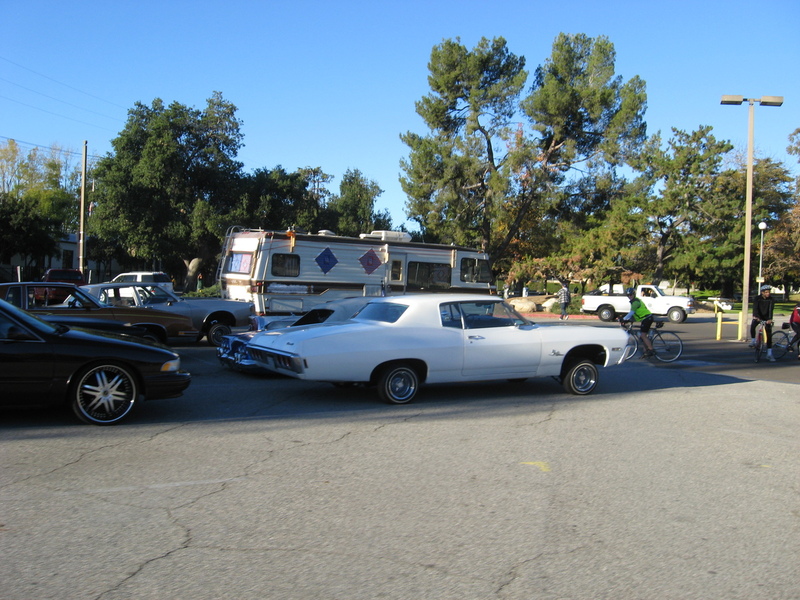 There was some sort of lowrider car group meeting in the park when we were leaving. That was an odd sight. 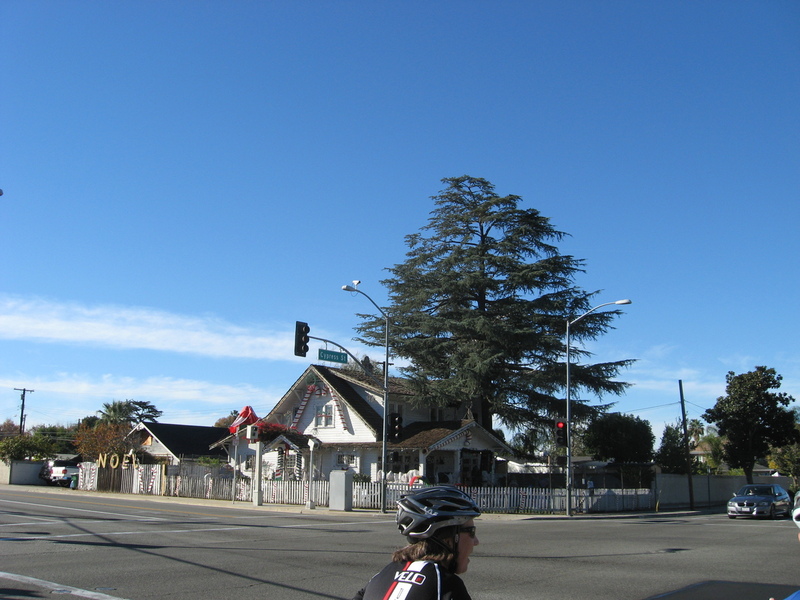 And somewhere out in West Covina, we passed the house that has the two giant candy canes on it every year. But it’s been some years since they put up the basketball-sized ornaments in the tree next to the house. 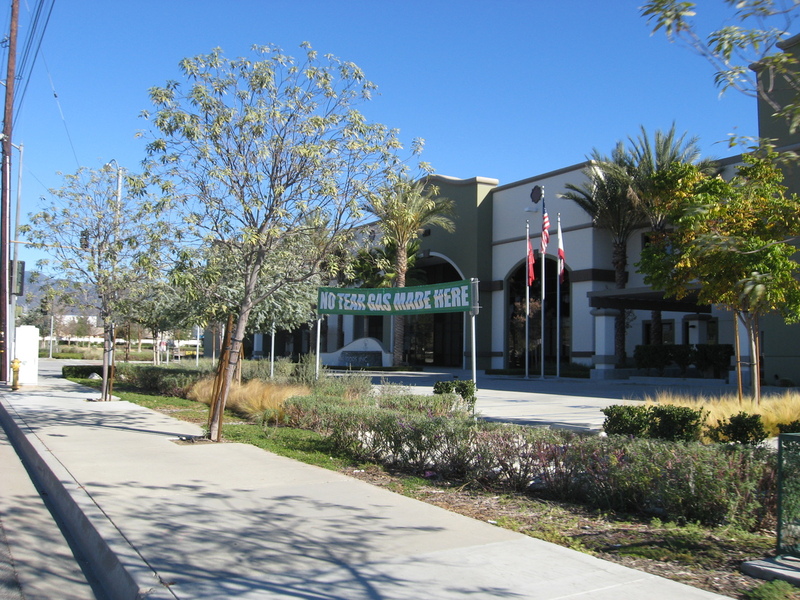 We passed the Huy Fong Foods factory in Irwindale. They are having some trouble with the neighbors, who say that making their sriracha hot sauce is causing problems for them. They’re fighting back with a small banner in front of the factory while the whole thing goes to court. We stopped at Merengue in Monrovia. 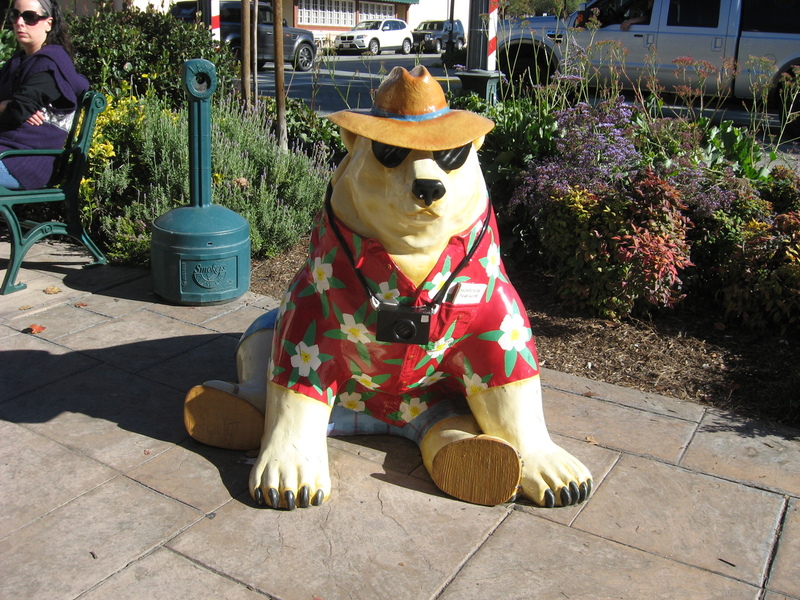 That’s where I saw the bear statue with the sign saying he was an official Old Town Monrovia guide.